Jessica Borusky says it was studying a Diego Velazquez painting in an art history class that sparked her interest in performativity in the visual arts. Velazquez often inserted his visage into compositions with royalty as he ascended to the role of portrait painter for King Philip IV’s royal court in the mid 1600s. 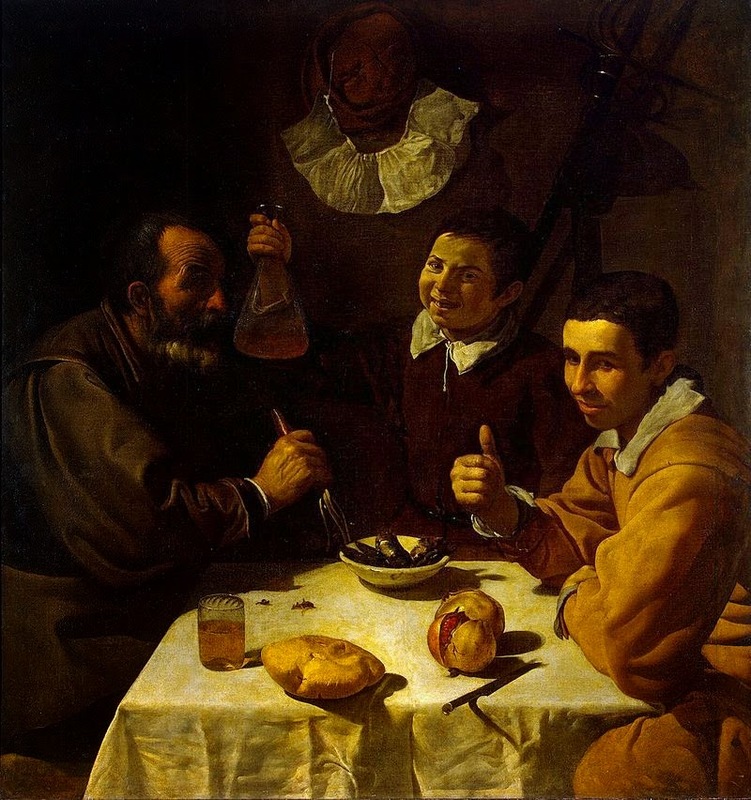 You get the sense that Velazquez knew he really didn’t belong- not properly or traditionally-in any royal setting, an idea that seems to inspire Borusky’s performative approach today. She’s a failed cowgirl, a failed corporate drone. Most people are failures at this or at least they fail at finding happiness through the typical personifications of the American Dream. But Jessica tries on these personas anyway, just to see what it’s like. As a result, her work can be very humorous. The humor pivots into an analysis of historical traumas that mark and mar our national identity. To get the idea behind Borusky’s engaging and no doubt entertaining confluence of the funny and traumatic, just check out one of my favorite performances she’s done in Kansas City: Armor, Gilt, and Integration. Here Jessica, looking like a hot mess, uses language and actions that place her somewhere between Martha Stewart land and that of an undertaker. And, of course, there’s barbecue sauce. I had the pleasure of visiting the artist on a recent trip to Kansas City where Borusky is currently an artist-in-residence in the Charlotte Street Foundation’s residency program, a curator for the Art in the Loop’s public arts program, and an art faculty member at the University of Missouri-Kansas City. When I first contacted her for the interview, Jessica said she was curating some art during the lunch hour and that I should meet her at Oppenstein Park downtown. I assumed she meant curating a series of objects, and that she needed/wanted privacy. When I arrived at Oppenstein Park, rather than a curator standing amongst a bunch of paintings I found a man reading letters aloud to an audience of knitters. Below is a portion of José Faus’s performance that day. Sitting next to him is Emily Evans Sloan. Both Faus and Sloan are local KC artists. To give you some background, the letters Faus is reading describe a time when Fidel Castro meets a young Jacqueline Kennedy Onassis in a New York City bar before she marries the future president. Their meeting (Castro calls her an angel) inspires him to start the revolution in Cuba. All this is explicated in recordings and letters between the historical figures. From what I could gather by peoples white-collar “drag,” we were in the midst of the downtown financial sector. Men in ties and the typical suits scurried along. Security guards looked on at the performance with amusement. It is with great certainty that I can say, as a tourist, I would have never enjoyed this part of Kansas City had it not been for the performance taking place in front of me. After thanking the artists for their performance, Jessica showed me her studio and the other studios at the residency. I clumsily videotaped the artist as I asked a series of questions about her creative work at Charlotte Street. Borusky is quick to acknowledge that it is her voice and body that entices others-her chosen medium to make art. So it makes some sense that I would, however shabbily, do a video interview. That’s what I’m telling myself anyway. Hope you enjoy. And thank you Jessica Borusky!